Bundestag President Wolfgang Schaeuble ordered German MPs to stop “inappropriate” usage of mobile devices during sessions, though he himself was once reportedly caught wistfully playing Sudoku on his tablet while discussing the landmark Greece bailout. 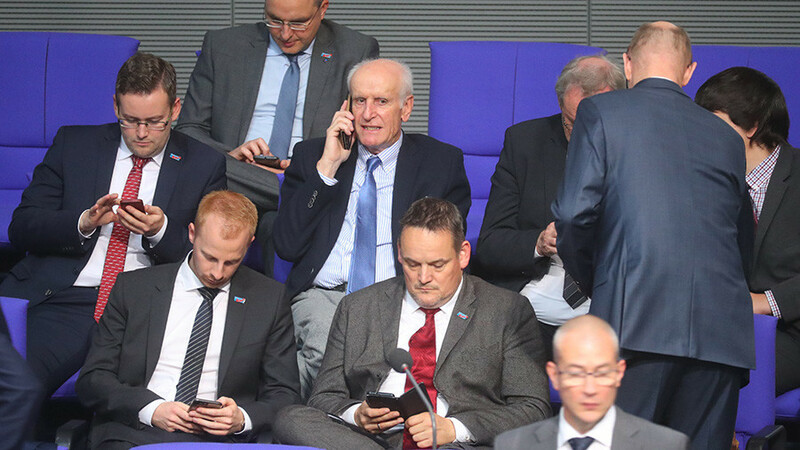 Wolfgang Schaeuble, president of the German Bundestag (the lower house of parliament) told lawmakers they now should pocket their mobile devices and stop tweeting from inside plenary sessions, broadcaster Deutschlandfunk reported on Wednesday. “The use of [mobile] devices to take pictures, tweet or disseminate news about plenary procedures is inappropriate and therefore not wanted during Bundestag sessions,” Schaeuble wrote in a letter to 709 MPs. Shortly after the news was broken by German media, several MPs responded with irritation and anger – via Twitter. Kordula Schulz-Asche, a Green Party MP, tweeted: “I would go out or carry kilograms of paper to read documents. But this is all bad for the environment and my shoulders. Long live digitalization.” She also said the problem is that the Bundestag has no WLAN connection. Ich könnte auch razsgehen oder wieder kiloweise Papier schleppen, um Dokumente zu lesen. Das wäre aber schlecht für die Umwelt UND meine Schultern. Es lebe die Digitalisierung. Ehrlich gesagt haben wir ohnehin das Problem, dass es im Bundestag kein WLAN gibt. While Schaeuble, a veteran politician and former finance minister, is something of a social media neophyte, he is no stranger to mobile devices, as the 2012 Sudoku incident proves. Some MPs reminded of Schauble’s gaming preferences. “I am for a Twitter ban and for a compulsory Sudoku in the Bundestag,” wrote Andreas Lenz, member of the conservative Christian Social Union (CSU) party. ARD reported in 2012 that Schaeuble was into playing Sudoku combinations at a time when the Bundestag was debating a €130-billion (US$154-billion) aid package for Greece, which was balancing on the brink of bailout. Notably, the broadcaster was forced to discard the footage after the Bundestag told the channel “making of unauthorized images of personal documents in a readable way” was prohibited, Bild reported. “You need a device at your hand, where you could find very quickly very precise information. It is also good to show that Parliamentarians are transparent and they share their thoughts and the information also with the voters,” he told RT.